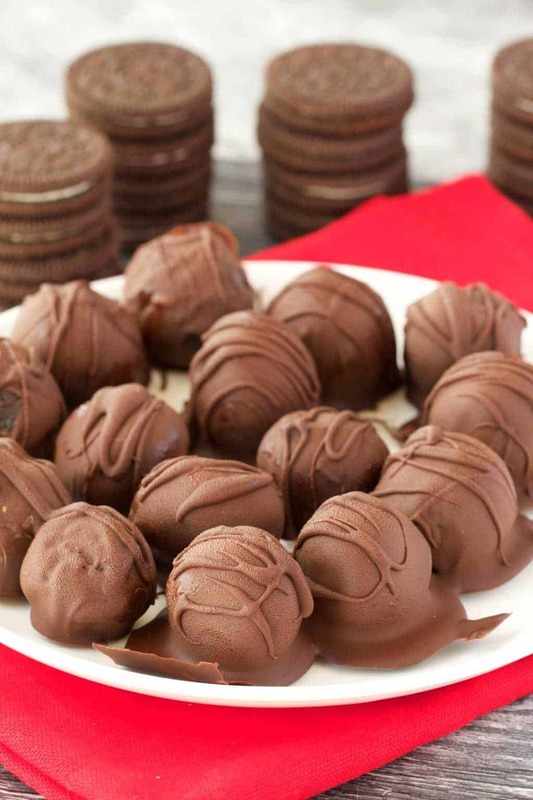 These oreo truffles are so perfectly truffle-y (that’s definitely a word)! This super easy 3-ingredient recipe really delivers the goods! 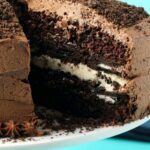 The truffle center is made from vegan cream cheese and crushed oreos that are then smothered in chocolate and bingo bango there you have it! 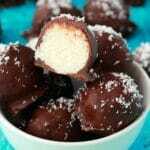 The most delicious truffle-y truffles! The center is perfectly textured and the addition of vegan cream cheese keeps it from being too sweet (not that that’s really a thing, not for me anyway, but I’m saying this for you, cos I’m awesome and selfless like that… ) and also holds it together perfectly. I tried this with some whipped coconut cream as well, just to see if that would also work, for people who can’t get hold of vegan cream cheese (I only just got my hands on some when my sister brought some for me on her last visit! ), but sadly it did not work. It’s cream cheese or nothing for these! I have no doubt that Tofutti would be a great brand to use for these, but that isn’t what I used, I used a brand called Violife. As long as it’s cream cheese and it’s vegan, it will be great for this. 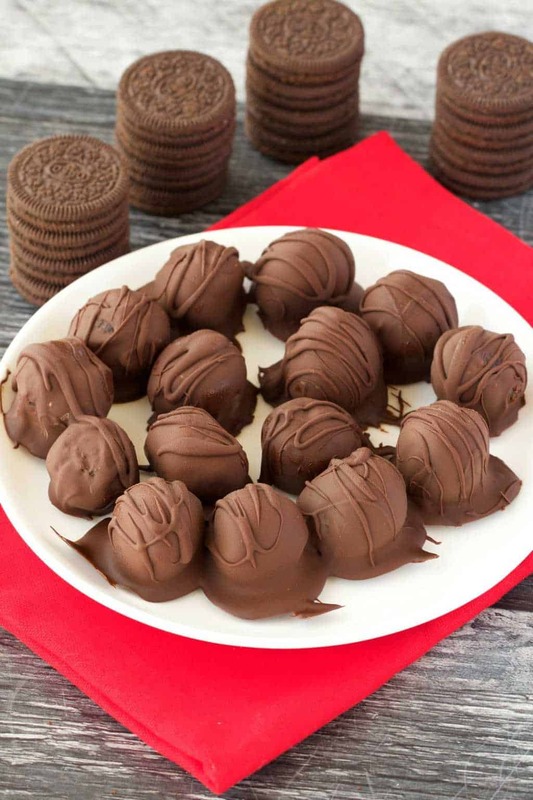 After mixing your oreo crumbles and cream cheese, you roll them into balls and place onto a parchment lined tray. Place into the freezer to set firmly (the balls must be very hard and firm) before rolling in the melted chocolate. Then you just do decorative chocolate drizzles over the top, place the tray in the fridge to set and there you have it. 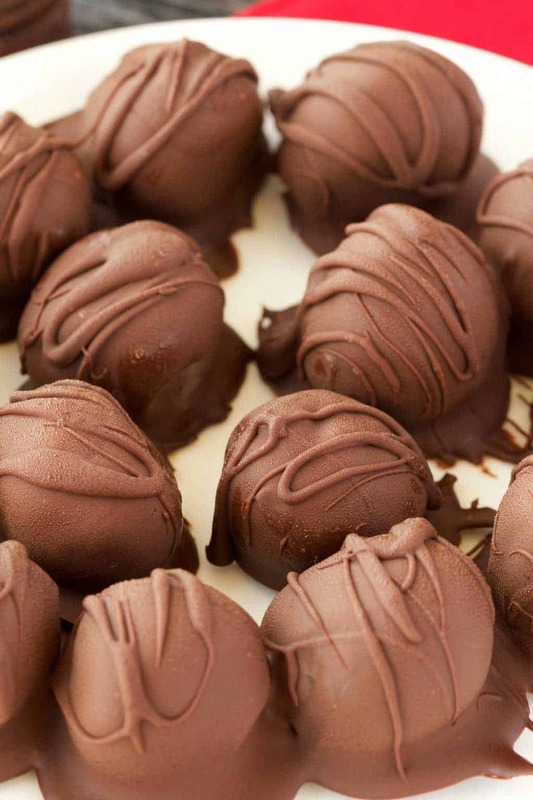 Perfect truffles. Keep them stored in the fridge as the chocolate isn’t tempered so will melt outside the fridge. They also stay nicely firm in the fridge which is ideal for these. 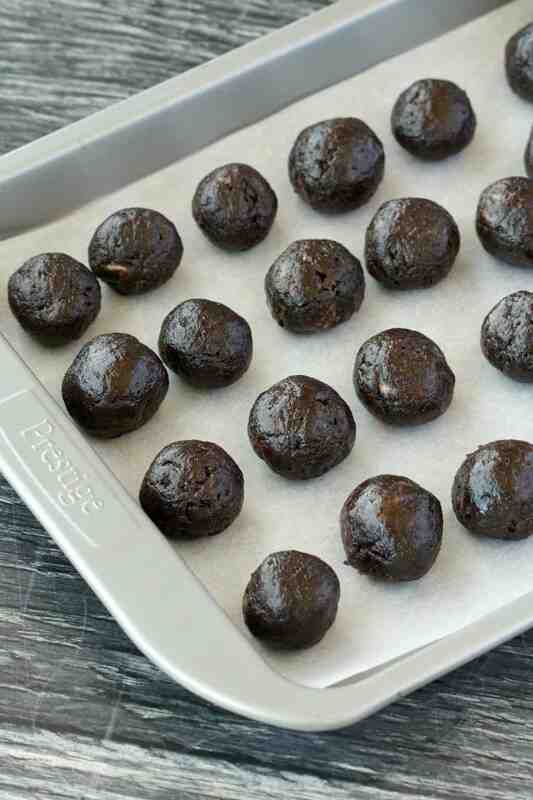 So let us know what you think of these vegan oreo truffles and if you try the recipe, pop back and let us know how they turned out! Please leave a rating too as that really helps! Sign up to our email list for a gorgeous free recipe ebook and to stay updated with all our latest recipes! 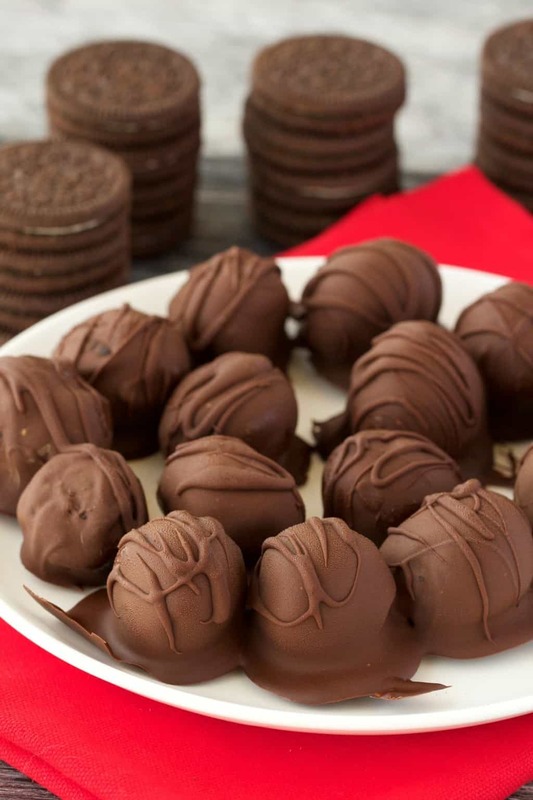 Easy 3-ingredient vegan oreo truffles. 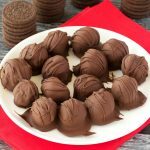 These fun, bite sized treats are perfectly textured and smothered in chocolate for a wonderful dessert. 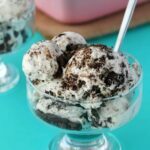 Place the oreos into the food processor and process until completely crumbled. Transfer the cookie crumbs to a mixing bowl and add in softened vegan cream cheese. If your cream cheese is quite solid, then soften it first by processing it for a few seconds in the food processor. Mix the cream cheese and cookie crumbs together very well. Roll into balls and place onto a parchment lined baking tray. Place the tray into the freezer for the balls to firm up. When the balls are completely firm and solid, melt your chocolate. Break up your vegan chocolate and add to a microwave safe bowl. Microwave in 30-second intervals, bringing it out to stir every 30-seconds until melted and smooth. 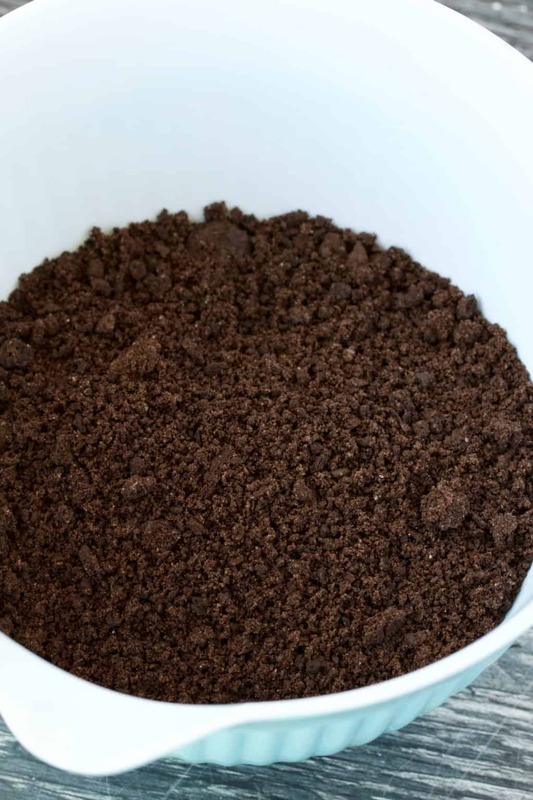 If your chocolate is very thick (depends on the brand of chocolate you use) thin it out by adding in a little coconut oil so that it’s easier to work with. 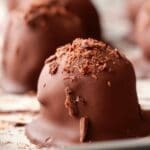 Using two teaspoons, take 1 ball at a time and dip it into the chocolate, using the two spoons to manoeuvre it and lift it out of the chocolate again when completely covered. 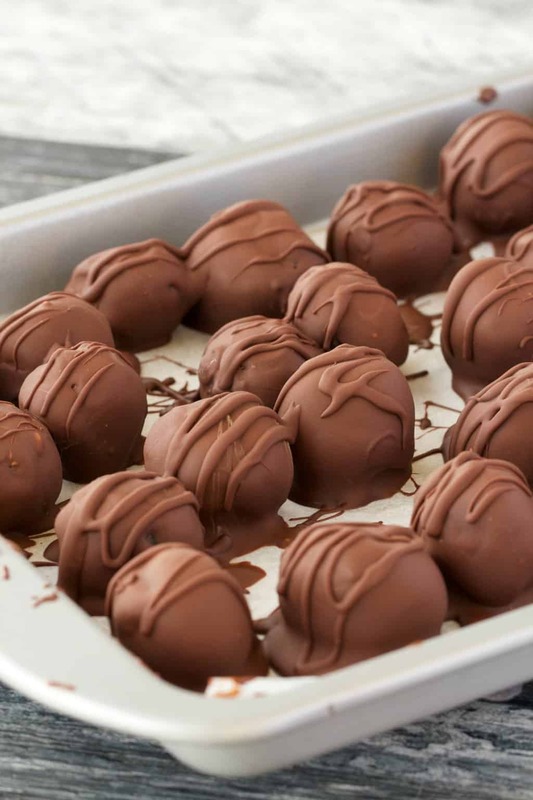 Transfer the chocolate covered balls back to the parchment lined tray. 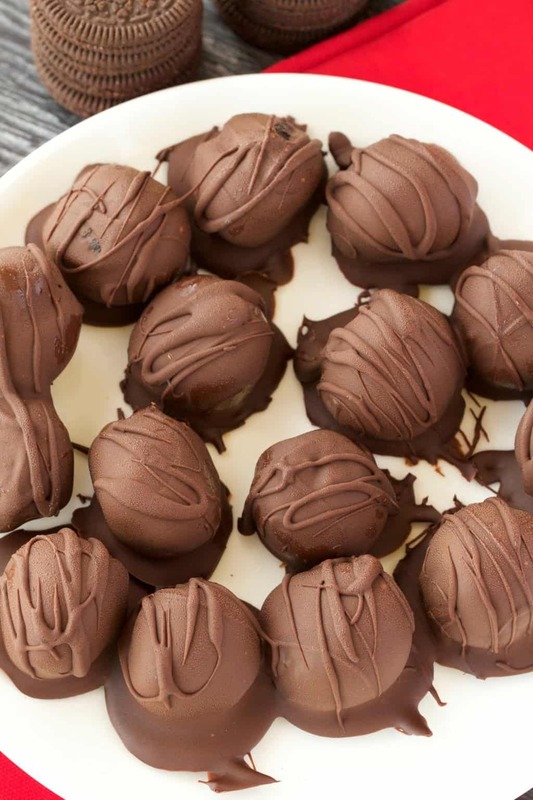 When all the balls are covered in chocolate, use the remaining chocolate to drizzle over the balls. *Prep time excludes the time spent setting in the freezer and fridge. Oh my….I’ve gotta do this. 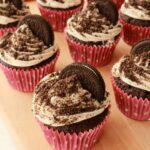 Q tho…leave the oreos whole with the cream inside, right? 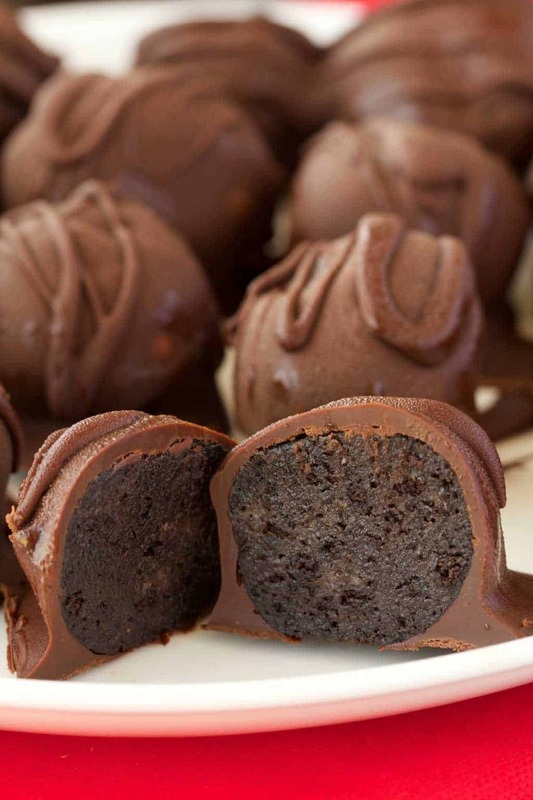 These truffles look soo good! Hi! Please can you tell me what chocolate you use? Most of the vegan chocolate I can find is either dark or has an inferior flavour or texture. I’ve had some that is extremely delicious, but I’d like to try this recipe exactly. It looks like a ‘milk’ chocolate…? I always use dark chocolate, I use different brands depending on where I am, but I always use a vegan dark chocolate, some are not marked ‘vegan’ but are so by the ingredients list. I have been a fan of Lindt – some of theirs are vegan and melt down very nicely. If it’s not too high in cocoa then it’s generally nicer tasting in my view, but that’s personal preference. 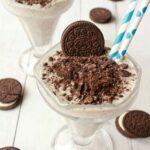 Hello Alison, I’m wondering if I can replace the Oreos with chocolate teddy Grahams..do you think it’d work without any other changes? Thank you for the recipe! Hi Krishna, I’m not familiar with that cookie, but if it is a dry crunchy cookie similar to an oreo then I think it should be fine without any other changes.